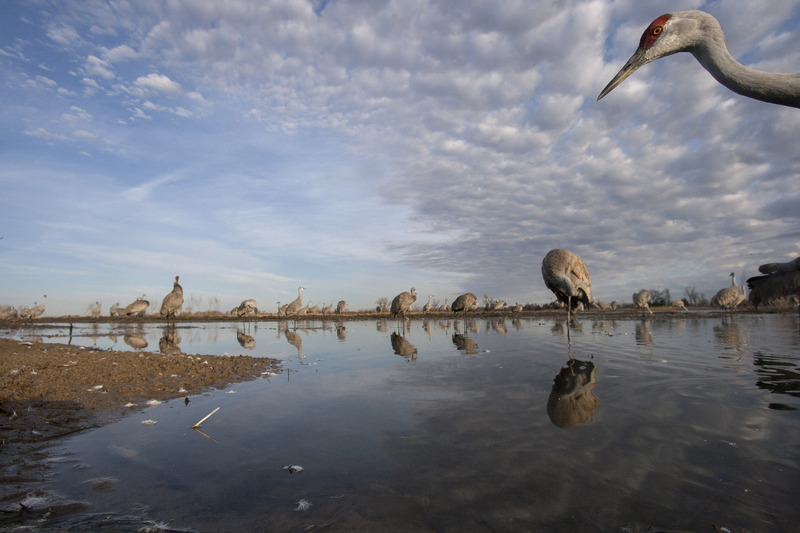 Few modern species can lay claim to older origins than the sandhill crane. This mostly gray bird (Grus canadensis) evolved before the Pleistocene, more than two million years ago, and hasn’t changed much since. It hung around when mammoths still roamed North America, and survived the last time most of the continent was covered in sheets of ice. “They are truly a relic from the distant past,” said Gary Krapu, a biologist for U.S. Geological Survey who’s been studying the birds along the central Platte since the 1970s. Today, they’re the most common species of cranes in the world. Every year more than 500,000 in the so-called mid-continent population migrate back and forth between wintering grounds in western Texas and northern Mexico and their breeding grounds in Alaska, the Canadian Arctic, and some even as far as Siberia. This heavily traveled path through the Great Plains, one of the biggest migration corridors in the world, is called the Central Flyway. Each spring, 80 percent of the mid-continent population spends a few weeks along the central stretch of the Platte River in Nebraska, resting, feeding and socializing—even dancing. But this unprecedented concentration of birds on the Platte represents a challenged ecosystem. 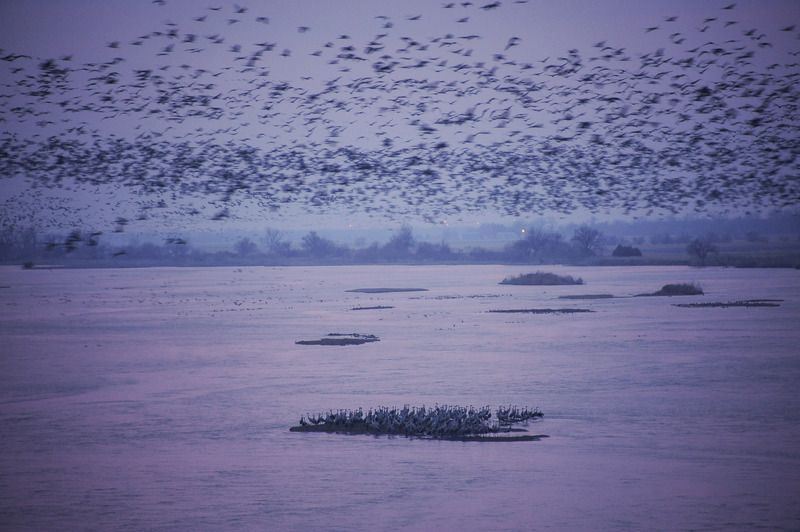 The loss of quality migratory habitat along the Platte and elsewhere in the last century has forced the birds to crowd in a much smaller area, and for longer, than they would have historically. This leads to greater competition for food and space in the habitat that remains. Today’s robust migration in spite of those challenges is testament to sandhill crane’s adaptability, Krapu said. Cranes prefer shallow, bare sandbars for roosting, and a wide field of view to spot predators, two main characteristics of the historic Platte’s braided channel structure. 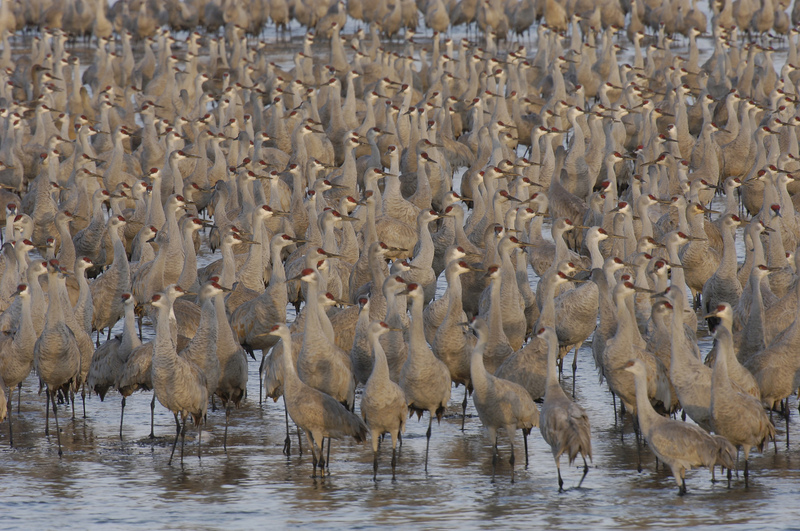 “Nature could not have designed a better situation than the Platte River for sandhill cranes,” Krapu said. 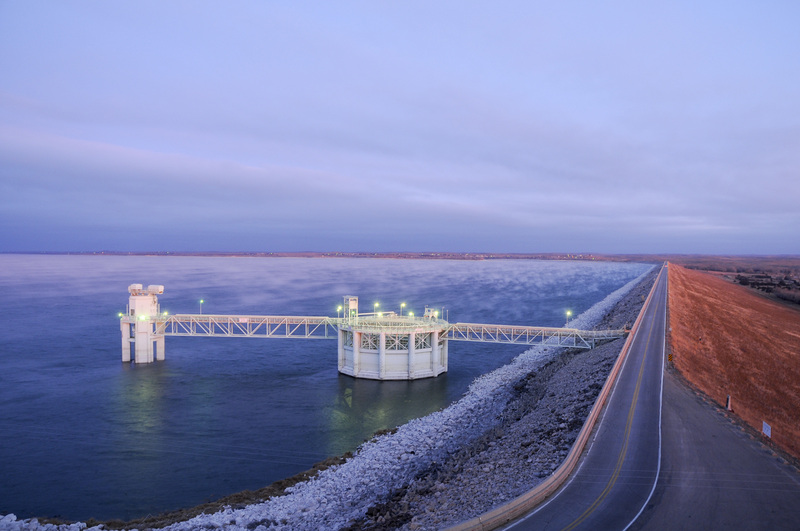 But dams and diversions on the upper branches of the Platte diminished river flows substantially in the early decades of the twentieth century. Hunting of sandhill cranes and many other birds was unregulated and widespread until passage of the federal Migratory Bird Treaty Act in 1918. More modern threats ramped up after the construction of Kingsley Dam in western Nebraska in the 1930s. 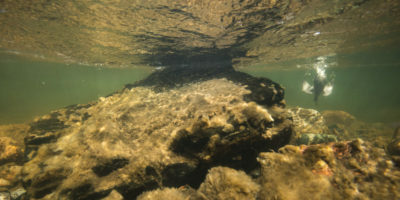 The transfer of most of the remaining Platte flows into irrigation canals ruined suitable crane habitat from Kingsley Dam downstream to Lexington, Krapu said, where the water returns to the river. 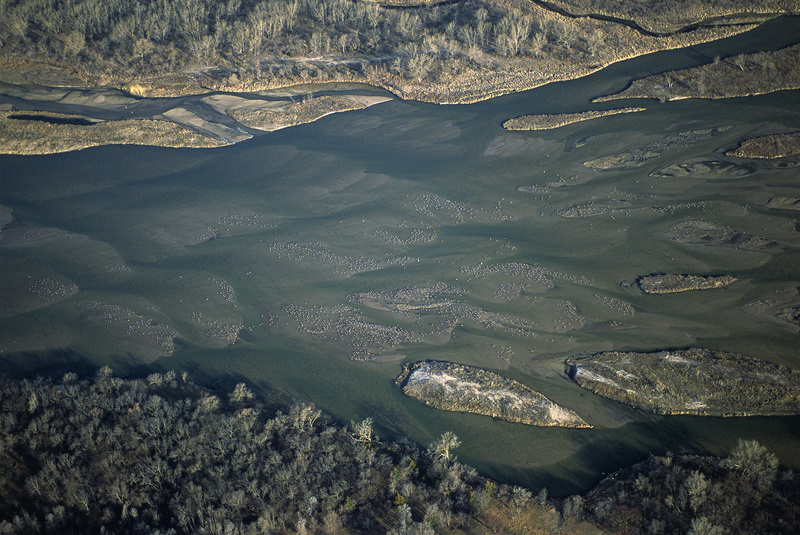 The loss of both the river flows and the scouring action of powerful spring floods allowed trees and other woody vegetation to choke the river channel and stabilize the Platte’s ever-changing sandbars. That dramatically altered what had been some of the best sandhill crane habitat on the continent. But another change along the river had a positive impact for cranes. Around the same time flows were being siphoned out of the river channel for irrigation, waste corn left behind in fields near the river began to create a new, stable food source for migrating birds. Corn allows cranes to build much more fat than they did historically. 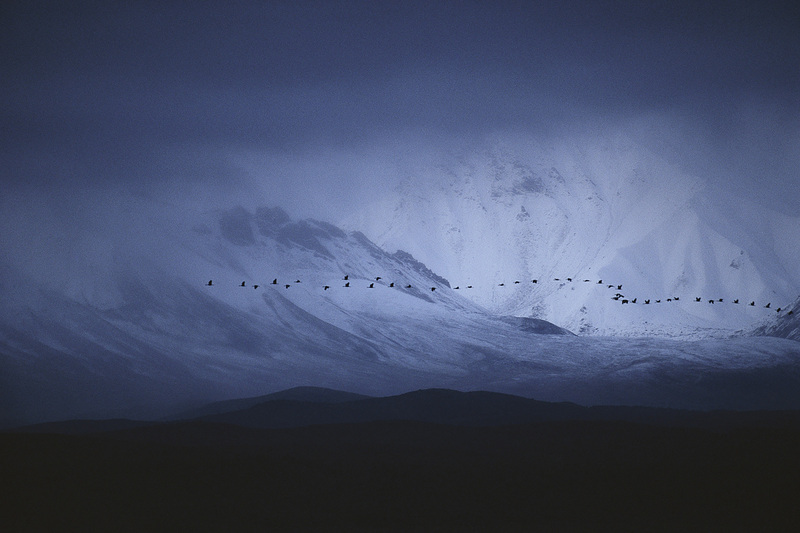 Sandhill cranes, especially the smaller subspecies that travel farther into harsh Arctic territory, need those fat reserves to survive and breed successfully. 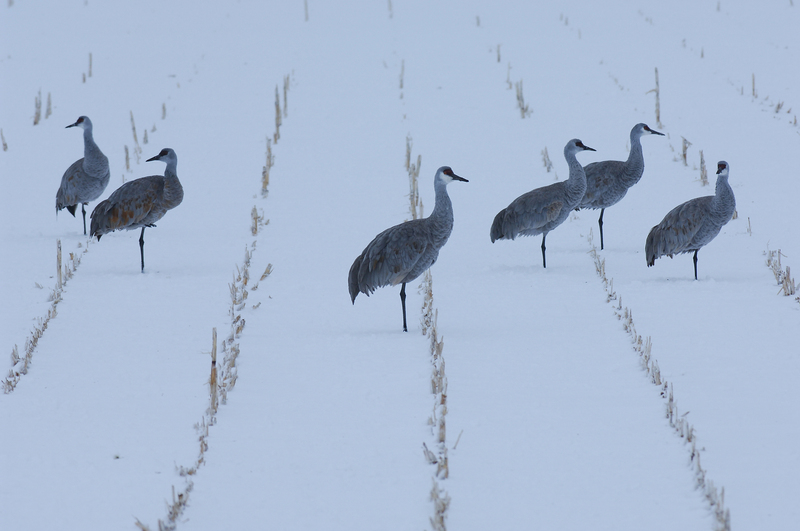 The Central Platte Valley offers cranes a place to spend a few weeks building fat reserves in relatively good weather before heading north to breed. Riverside wet meadows and sloughs provide other critical nutrients. “So the Platte is very unique from that standpoint and it’s beyond doubt been extremely beneficial to the mid-continent sandhill crane population,” Krapu said. In the past half-century, this has led to the highest concentration of migrating sandhill cranes in North America, and a growing tourism industry in central Nebraska each spring, where birders delight in the sheer number of wings in the sky. But this gathering of birds would not happen without the efforts of conservation groups to maintain the central Platte as quality crane habitat, Krapu said.  “A major focus of [our work in] the central Platte is providing habitat for water birds during their migration period,” said Ted LaGrange, wetland program manager for the Nebraska Game and Parks Commission (NGPC). During the twenty years he’s been in his position, he’s been involved in restoration work on NGPC wildlife management and recreation areas across the state, including sandhill crane staging grounds. 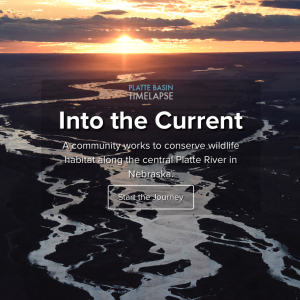 For the last forty years, a collection of state, private and federal entities have worked together on the central Platte, removing vegetation, recreating sandbars, restoring slough areas and side channels, and adding more water back to the river during migration seasons. Still, some local landowners question the value of conservation work, pointing out that the cranes have staged on the Platte for centuries without any help from humans. Due to the severe reduction in river flows, “the Platte would be so grown over with woody vegetation that you’d have probably a few pockets where there were cranes in even higher numbers and the rest of the birds would have had to do something else,” Krapu said. But even with continued conservation work for habitat, in recent years conditions on the central Platte have started to change. “Corn has been becoming less available over time. Improvements in corn harvesting efficiency, increased amounts of soybeans being grown in the Central Platte Valley, much greater numbers of lesser snow geese staging there [which compete with sandhills for food] have all combined to make corn much less available,” Krapu said. Researchers have already seen the larger-bodied birds starting to have difficulty finding enough corn to store fat. This may lead to the birds traveling farther to find food, which costs them valuable time and energy. Krapu’s data has already shown some cranes now leave the Platte earlier and stop to forage in South Dakota. Migration is always a gamble for birds. Weather, habitat loss, and predation are just a few of the risks at any point during their journey. Climate change is another influence, Krapu said. In the Arctic, polar bears faced with fewer offshore ice floes are spending more time on land, preying on snow goose colonies. Warmer temperatures have benefitted sandhill cranes that travel to Siberia who now have access to longer breeding seasons, but will likely lead to declining habitat in the long term as Arctic wetlands dry up. “It’s a pretty complex situation, and there are a lot of forces that are changing all the time,” Krapu said. Conservation measures help, but “there will always likely be challenges,” he said.